for books is just the beginning. the Curtis Library on campus. 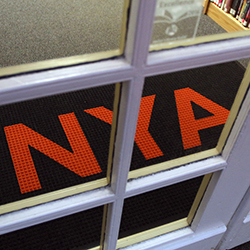 NYA is part of the Southern Maine Library District. As a member, we participate in Interlibrary Loan through the Portland Public Library. If there is a book or an article that you want that we don’t have, we can get it for you. 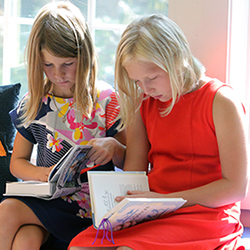 Our youngest learners – well before they can read – discover, explore, manipulate and immerse themselves in books, not only in their classrooms but also in our Lower School Book Nook. 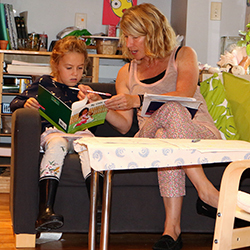 The Book Nook is a cozy space with many picture and chapter books for pleasure reading, as well as non-fiction books for use by teachers and students in their research projects. 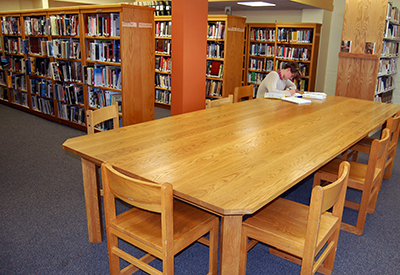 The Curtis Library, located in the Curtis Building, is predominantly used by our Middle and Upper schoolers. In this library, we have two reading areas, two large work tables and one smaller one, and a full computer lab with 15 computers. A supervised and mentored gateway to the virtually infinite online world of knowledge and research where our students learn to take charge of the Internet – not the other way around.